Recommended books, videos, journals, and websites for plant and plant conservation information. Baja Garden, San Diego Zoo Safari Park. ©San Diego Zoo Global. All rights reserved. Welcome! 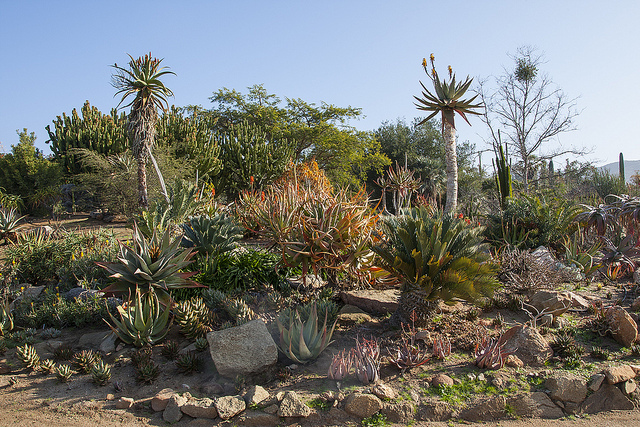 This is a guide to finding plant, plant conservation, and botanical garden information resources, online and at the San Diego Zoo Global Library. Use the links below to find information on this page. Use the tabs above to explore specific topics. Disclaimer: This site is maintained by the SDZG Library for the use of San Diego Zoo Global staff and volunteers. Although we make every attempt to provide accurate information, some of the resources and links may become outdated. If you have suggestions for updates or additional resources, we welcome your feedback. The Quiet Extinction explores the reasons why many of our native plants are disappearing. Curious minds will find a desperate struggle for existence waged by these plants and discover the great environmental impacts that could come if the struggle continues. Kara Rogers relates the stories of some of North America's most inspiring rare and threatened plants. Accompanied by illustrations created by the author and packed with absorbing detail, The Quiet Extinction offers a compelling and refreshing perspective of rare and threatened plants and their relationship with the land and its people. With contributions from two hundred botanists across North America, this is the most comprehensive resource and identification guide to nearly eight thousand varieties of native and naturalized California plants. The means to identify plants (using key traits and illustrations) is accompanied by special information such as horticultural requirements, endangerment, toxicity, weed status, and notes on the management of sensitive species. Integrating decades of research, leading community ecologists and field botanists describe and classify California's vegetation types, identify environmental factors that determine the distribution of vegetation types, analyze the role of disturbance regimes in vegetation dynamics, chronicle change due to human activities, identify conservation issues, describe restoration strategies, and prioritize directions for new research. A definitive guide to explaining all the essential techniques you are ever likely to need. All techniques are shown clearly and simply, with step-by-step instructions for planning, pruning, propagating, feeding and watering. Covers all plants, including trees, flowers, shrubs, climbers, lawns, vegetables, fruit and herbs. Below is a sampling of relevant journals. For a full list, search the SDZG Library Journals A-Z. Please note: this service is for SDZG staff and volunteers; staff working offsite may contact the library for access. Index to literature on systematics, floristics, morphology & ecology of American plants and fungi; also economic botany & general botany. From the New York Botanical Garden. Kew database & resource portal: collections, data, plants, seeds, fungi, species profiles. From Kew Royal Botanic Gardens. Global database of living plant, seed, and tissue collections in botanic gardens and similar organizations. From Botanic Gardens Conservation International (BGCI). Portal to US Forest Service research publications (full text access). Guides that will help you build a pollinator habitat in your yard. Created by Pollinator Partnership. Website dedicated to research on Angiosperm (flowering plants) phylogeny and taxonomy. Maintained by Peter F. Stevens of Missouri Botanical Gardens. Botanical database developed from World List of Cycads, which includes a page for every known cycad. Maintained by Ken Hill at Royal Botanic Gardens, Sydney. Taxonomic listing of flora from China, North America, Ecuadorian Andes, and Pakistan. Maintained by Missouri Botanical Gardens. Taxonomic resource on Euphorbiaceae (Spurge family) of Malaysia. Maintained by National Herbarium Nederland. Authoritative taxonomic information on plants, animals, fungi, and microbes of North America and the world. Database of names of seed plants, ferns, and lycophytes. Collaboration between Royal Botanic Gardens at Kew, Harvard University Herbaria, and the Australian National Herbarium. List of plants by common name. Hosted by Desert-Tropicals.com. Learn about plant names from the National Resources Conservation Service. Free utility for correcting and standardizing plant names. Nomenclatural, bibliographic, and specimen data accumulated in the Missouri Botanical Garden's electronic databases over the last 25 years. Contains over 1.2 million scientific names and 3.9 million specimen records. Systematic index of non-flowering and flowering plant families with annotated photos. Maintained by the University of Hawaii Botany Department. Website of the ABS. Includes Bamboo Species Source List, which contains information on bamboo and bamboo products available in the US and Canada. Website of non-profit organization dedicated to sustaining native bamboo species throughout the Americas. Website that posts the results of studies by the Bamboo Phylogeny Group. Tools for identifying and naming woody bamboos. Multilingual plant name database, organized by language and genera. University of Melbourne. e-Book prepared by Food and Agriculture Organization of the United Nations. General interest site maintained by Botanical Society of America. Contains images and links to further information. Website of the ICPS. Includes carnivorous plant name database, Carnivorous Plant Newsletter, information for educators, and more. General information site focusing on carnivorous plants of North America and their trap types. Maintained by Flora of North America. Excerpts from Euclid: Eucalypts of Southern Australia, 2nd editions. Information on the eucalypts (Eucalyptus, Corymbia andAngophora) from the Australian Native Plant Society. General overview of eucalpyts from the Australian Centre for Plant Biodiversity Research. Largest online orchid literature database, with over 150,000 citations. Requires free registration. Leading international network for orchid conservation. Includes full-text research articles related to orchids. Website of organization dedicated to conserving orchids and their native habitats. Organization dedicated to raising awareness and money for orchid conservation. Includes access to the Living Orchid Collectiondatabase, a virtual living species orchid collection. Orchid seed banking, a Darwin Initiative. Directory of online resources relating to orchids. Maintained by enthusiast Wendell Kozak. Includes links to Orchid Culture Sheets, which are written specific to the San Diego climate. Extensive online resource maintained by Jody L. Haynes of the Palm & Cycad Societies of Florida. Basic factsheet with photos of various palm species. Includes Palms of the World Online, a palm identification site which contains data compiled by palm experts for all 2,400 palm species. Website of palm conservation group. Contains over 14,000 photos. Maintained by scientists at Biocentre Klein Flottbek & Botanical Garden. Website of SANBI, which coordinates botanical garden activities and facilitates research on South African plant and animal biodiversity. 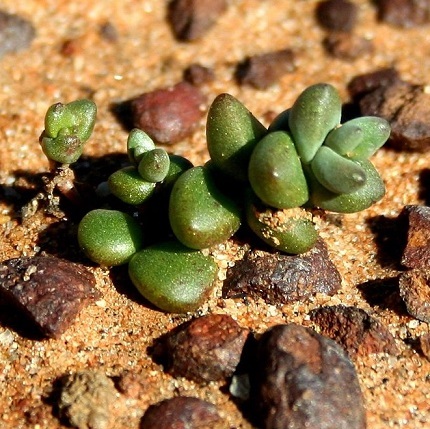 Includes access to Red List of South African Plants. Contains Trees and Shrubs of Ecuadorian Andes and Flora of Chile. Species descriptions of North American flora. Organization dedicated to conservation of North American wildflowers, plants and landscapes. Online knowledge-base of Hawaiian plants. Hosted by University of Hawaii. Report from the IUCN on recent conservation progress in Asia. Website describing and documenting Chinese plant species. Hosted by Harvard University. Taxonomic and biological online resources. From the Australian Biological Resources Study. Includes searchable online database. Website of society formerly known as ASGAP, geared towards people interested in cultivation, propagation, and conservation of Australian flora. Interactive key and information resources for flowering plants of the Neotropics. From the Kew Royal Botanic Gardens. Plant and fungal species profiles. From Kew Royal Botanic Gardens. Fact sheets and plant guides. From USDA's National Plant Data Team and Plant Materials Program. North American tree database. From Virginia Polytechnic Institute and State University. Directory listing worldwide plant image resources. A database with over 167,000 photos of plants, mostly from California. Developed by UC Berkeley Digital Library Project. A plant type specimens database, with community-contributed collections from more than 300 herbaria from around the world. Plant photos from the Weed Science Society of America. List of palm tree species with photos. From Desert-Tropicals.com. List of plants that bloom at the San Diego Zoo and Safari Park at various times of the year, with links to photos. Plants listed taxonomically. Created by Michael G. Simpson, SDSU. Extensive database of plant and plant habitat images. Maintained by the Smithsonian Department of Botany. Collection largely consisting of photos and line drawings of U.S. plants. Photos of weed plants. From University of California Statewide Integrated Pest Management program. Database of botanical illustrations curated by National Museum of Natural History scientific illustrator, Alice Tangerini. Bibliography of online resources. Maintained by Julene Sodtv, Western Washington University Library.